We originally knew of Shaun Considine as the author of the sublime duel biography Bette and Joan: The Divine Feud. One of the best biographies ever written (if not the best), the book presents the greatest stories of these two Hollywood Queens as well as documenting their bizarre relationship built on a strange mix of rivalry, hate (Bette and sometimes Joan) and a longing for friendship (Joan in the early and latter years). The Divine Feud is a deliciously compelling read and if you haven’t ever done so then you really should give back your gay until you’ve read it. As if that weren’t enough, Mr Considine has also penned Barbra Streisand: The Woman, The Myth, The Music, an equally delectable tome about another of our fave divas and which led us to attempt to find out more about this author with the same taste in ladies as us. We found nothing about him outside of his own Web site, but through that we did discover that Shaun has also written a comprehensive study on Hollywood screenwriter Paddy Chayefsky and the thrilling new ebook The Oscar Letters. If that weren’t enough the site shares many of the photographs he has taken over the years as a photojournalist, capturing the 70s zeitgeist through an astonishing span of the decade’s most compelling stars. He recorded the birth of the ‘New Cinema’ and the old and new generations who took to the stage as singers, performers and icons. Some of the most extraordinary and iconic images of women in entertainment from this era were taken by this man. The anonymous souls of NYC also attracted his lens and the beauty of all these images stands rightly alongside his gorgeous prose. Shaun Considine is an important biographer and documentary artist who has contributed a great deal to the culture. With that in mind, we set out to gather the details behind the work and the man and discover the stories behind the stories. We got so much more than we hoped for. How did you come to write The Divine Feud and The Woman, The Myth, The Music? During the 1960s I worked at Columbia Records in NYC as the coordinator of new releases, including those of Barbra Streisand. Hence, along with knowing those who worked with her, there were the many stories of what went on during the creation of her classic recordings and TV specials. In the 1970s, as a journalist and photographer, I covered the production of a few of her films, including A Star is Born. A decade later, when the prospect of my writing a book was being considered, her name was on many publishers’ lists. I wrote an outline. Three New York houses bid for the rights and voila – the “author” was born. When published, this also became my “Baptism by fire” as the book was done without the subject’s legendary control. Bette and Joan, despite being a double feature, was great fun. For me it began in the early 1970s, when by accident, I was caught between their verbal missiles. The feud until then was largely unknown. In the years that followed, a harvest of facts and delicious details was gathered. I also interviewed both stars again; Joan, six months before she died and Bette, specifically for the book. That she was willing to talk about her relationship with “Miss Crawford” was a large plus. At the same time she was also curious about what I had uncovered, and specifically what the world saw in them together, as a team. “Because we had nothing in common,” said Bette. Who have been your favourite people to photograph? That went in cycles. During the 1970s, the wealth of films being made in New York City enabled me to meet and photograph a rich assortment of filmmakers. Amongst them the writers, directors, cinematographers and actors of such films as: Godfather II, Saturday Night Fever, Network, Manhattan, and Kramer vs. Kramer. The latter featuring a virtual galaxy of talent – director Robert Benton, the DP Nestor Almendros, star actor Dustin Hoffman, and newcomer Meryl Streep, who had to fight daily to keep her character and emotional balance intact. 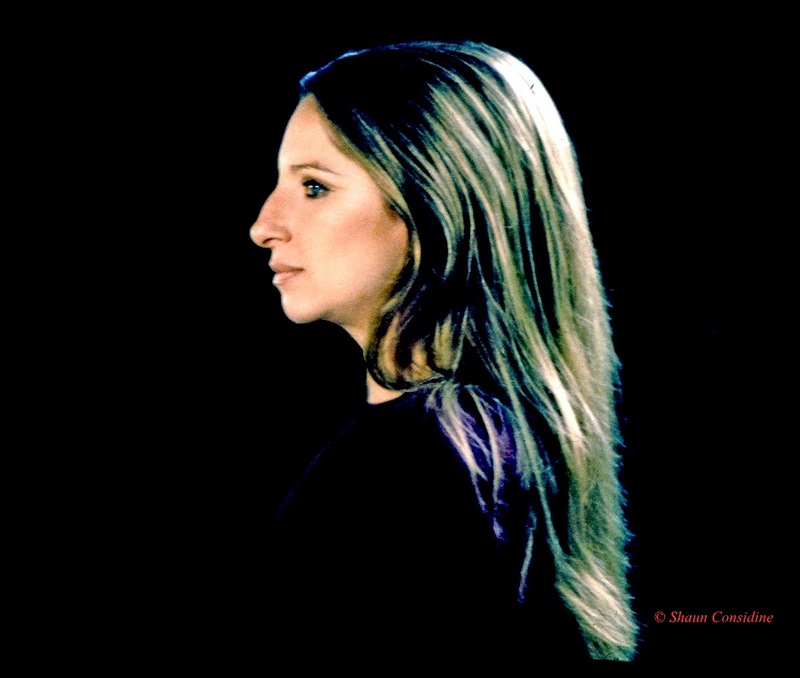 Barbra Streisand on the set of ‘Up the Sandbox’ (Kershner 1972), by Shaun Considine. At the same time the New York cultural landscape was teeming with rallies, live concerts, plays and recording sessions, including Sweeney Todd. The double duty of writing and photographing were, I guess, a natural high because it shielded me from taking drugs and other toxic pursuits. Wise in retrospect, but without judgment; only the lingering regret of losing so many I was close to. During the 1980s, when I started writing books, the photography continued. Usually late in the day, covering the real stars of New York City. The people in the streets and parks. Each of whom – man, woman, child, dog or cat, firmly believed they were the center of their own universe. Which they were and remain. The style, attitude, spontaneity, creativity and spirit of survival is amazing. Never a dull moment in Manhattan or any large city or town when one keeps their eyes and ears open. Through your involvement with the New York nightclub Arthur you were part of the birth of the disco in the 1960s – did it feel like a revolutionary cultural moment at the time? Arthur – yes, as you said, it was the birthplace of international disco. The timing was right. It was 1965 and everything was ripe for explosion in New York City. The British Invasion of pop music and fashion was already underway when Sybil Burton – whose husband, Richard, had left her for a famous movie star – moved from London to Manhattan. With many of her show business friends in town, she decided to open a club where everyone – the British talents and their American counterparts – could meet. She invited key people from both groups to become members by buying shares in the club. I was asked to join after contributing free dance records. No one, except Sybil perhaps, knew that Arthur would be such a success and would span four incredible years. What was your role as ‘investor’? Did you have any say in how Arthur was run? Our roles as investor-members were to simply relax and enjoy the freedom of the place. Sybil was the hostess and she ran the club, which was open to everyone. She was Welsh, with the attendant Celtic humor and hospitality. No airs, No pretensions. No one got preferential treatment and everything on the menu was reasonably priced. Frequently, if it seemed a young couple could not afford the cost, the check was waived. Beyond the constant flow of super celebrity guests – from Paul Newman and Steve McQueen, to Princess Margaret and Dusty Springfield – Arthur at the same time helped to nurture and launch many of the decade’s major cultural changes. Not long after it opened, I brought in an acetate of a record that Columbia was reluctant to release. With no specific plan, except to share, I asked the club’s DJ to play the acetate, which instantly brought everyone to their feet. The song, “Like a Rolling Stone” by Bob Dylan, caused such a sensation that Columbia were forced to release it the following week. Wherein the legendary folk-rock revolution of the 1960’s was born. For more on that, see “The Hit We Almost Missed” – New York Times Op Ed essay. At the same time another club member – producer-director Hal Prince – was preparing a new musical for Broadway. With rehearsals about to begin, he had no leading lady. At Arthur he was introduced to a candidate, a coy but sassy 20 year-old girl from Sussex, England. Jill Haworth could act (Exodus), but could not sing or dance professionally. Which was what Hal Prince needed for the role of Sally Bowles, in his radical new musical, Cabaret. When it opened the theme of rampant decadence in Weimar Germany greatly upset the conservative New York critics. Hence the ticket sales were paltry; until the more liberal knights and fair ladies of Arthur rushed forward to support the show. Cabaret became a rousing success. A second production opened in London, with another young non-singer (Judi Dench) as Sally Bowles. Its effect on the old-fashioned song-and-dance genre was seismic, and lasting. Concurrently, another of Sybil’s close friends, Mike Nichols. was facing the imminent extinction of his first feature film. Laden with profanities, Who’s Afraid of Virginia Woolf? was about to be severely cut and rated X by the official censors. At Arthur, his current girl friend and social ally, Jacqueline Kennedy, told him not to worry. As the widow of the recently slain President, and close to public sainthood, she devised a plan on how to get the Catholic church to overlook the film’s dirty language. Jacqueline succeeded. Released with minimal changes the film, along with abolishing the industry’s strict, long-term ratings code, was a huge critical and commercial success. Sir Mike followed this with an equally risqué film, about a young man having an affair with an older woman, The Graduate, which eclipsed everything else released that year. Except for Bonnie and Clyde, produced and starring another habitue of the club, Warren Beatty. Do you have any good Arthur stories for us? As you surmised, there are many. Beyond the rampant social and creative crusades, there were the tales of the many famous and infamous guests. As I’ve said, everyone who was anybody went to Arthur. Everyone except the reigning female box office star of the decade – Elizabeth Taylor, who was not welcome, for obvious reasons (spousal larceny the main one). Undaunted, akin to Morgan le Fay in the original Camelot legend, Liz choose to ignore the embargo. Focusing her seductive wiles on the other club members, she attempted to get into Arthur – and failed – repeatedly. The Oscar Letters is so exciting! What are your favourite letters/stories in the book? My favorite Oscar Letters interview was with Princess Grace, as told in the current ebook. She was the first to reply to my letter and the first to grant an interview, which we did in NYC. HSH was cool and gorgeous, appearing as if she just stepped from one of her classic Alfred Hitchcock films. When she sensed I knew her work and wasn’t a mere gaga fan, the conversation became livelier and continued way beyond the allotted time providing aspects of her career and the Oscars not divulged before. My favorite letter came from Simone Signoret, who sat at her desk in France and typed out everything she remembered about Room At The Top, the independent British film which brought her the Academy Award and worldwide fame. 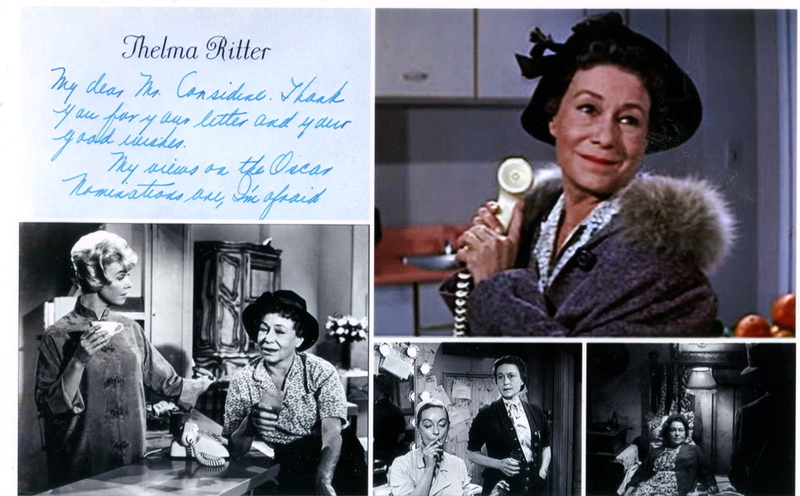 Deborah Kerr was nominated six times, and Thelma Ritter five, for best supporting. Neither won, yet both remained grateful, and candid about their future chances. “If it’s in the cards, I’ll get one someday,” said Ritter. “I’d be a hypocrite if I said I didn’t want one,” Miss Kerr confessed, feeling that someday sentiment might sway her chances. “They will finally say, ‘Oh, God! She’s been nominated so many times, we must give it to her.’” She was right. In 1991, the Academy gave Deborah Kerr an Honorary Oscar. Who didn’t reply that you wish had? Marlon Brando was hard to reach. I wrote two letters before his press agent replied. He was at Universal Studios in Hollywood, making a comedy with David Niven (the first Dirty Rotten Scoundrels). Marlon’s assistant asked for the questions. But he didn’t respond until a few months later. He called when he was in New York but didn’t divulge much about On The Waterfront or his Oscar. He only wanted to talk about the Civil Rights March in Washington, which he was about to participate in. By our calculations, next year is the 25th anniversary of the first publication of The Divine Feud – are there any special plans to mark this occasion? I wasn’t aware that next year is the 25th anniversary of Bette and Joan. David Shelley of Little, Brown has been a strong supporter of the book, so something special may be done. Currently I am working on a script, an adaptation of three specific sections in the book, which run together cinematically. So who knows what the legend of the two warring legions will be treated to next year. What is your opinion of the books Mommie Dearest [by Joan Crawford’s daughter, Christina] and My Mother’s Keeper [by Bette Davis’s daughter B.D.]? I didn’t think much of Mommie.Dearest because it was published after Miss Crawford had died. Also it was much too brutal to be believable. Ditto the lurid film, which I believed drove a dagger into the over-the-top allegations. My Mother’s Keeper by Bette Davis’ daughter was published when she was alive and could respond. Which she did, in a chapter of her subsequent bestseller in which she addressed her daughter as “Dear Hyman”, her son-in-law’s surname. To be interpreted a few ways in Bette’s salute. If you had to buy the ideal gift for Bette, Joan and Barbra, what would you choose for them and why? I am not good at buying gifts for anyone, myself included. The only shops I frequent are book stores, so a gift would have to be a book, CD, or DVD. The topic would be dependent on the public’s current whimsy, or mine. Who would you rather have dinner with out of the three? My choice: Bette and Joan – together, in an Irish or English type Pub with the booze flowing and critical questions prepared. So, by the end of the evening, they would either have made some kind of peace; or they would finally have killed each other. What has been the most shocking and/or enlightening revelation that you discovered about these women in the times that you encountered them? Shocking? 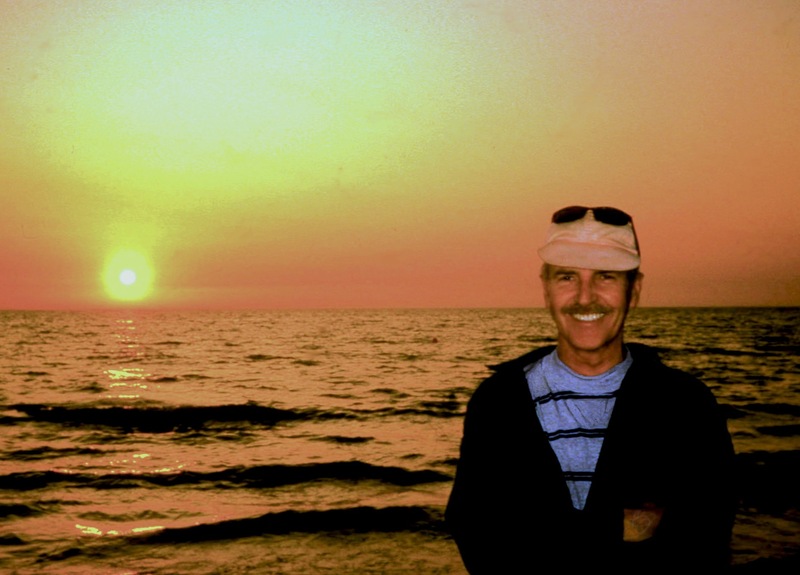 I was born in Brooklyn and one summer – pre-University – I lived in Birmingham, England, where I was a bus conductor. I loved “B’rum,” the swarms of factory workers and the late-night Teddy Boys trying to take over the bus. Hence, nothing unusual or amiss startles me. Re: Bette and Joan, in the beginning it was hard to fathom there would be any envy or jealousy between them. I naively assumed that as major Hollywood “movie stars,” they were way above such basic human emotions. 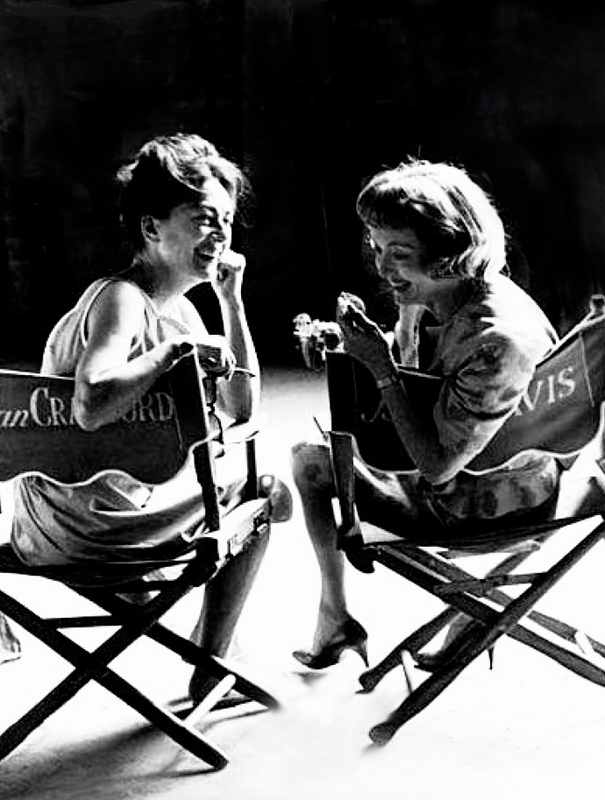 At the end of their lives it surprised me to learn that Miss Crawford was the more vulnerable of the two, and that she really wanted to be friends with Bette Davis. But to accomplish that do she would have had to grovel. Being the quintessential movie star, Joan Crawford could never do that. Do you think you’ll write any further super-diva biographies? After my third full-length book, Mad As Hell – The Life and Work of Paddy Chayefsky (Hollywood’s best, and most honoured, screenwriter), I felt I had covered the gamut with biographical subjects. There is a possible project on the 1970s. I kept a journal on that equally tumultuous decade, and photographed everyone I was lucky enough to meet or to stumble across. Some of the photos are on the 1970s page of my web site. Note: we were deeply saddened to learn of the death of Shaun Considine in April 2015. Since first interviewing him for The Ethel Mermaids, Shaun and I had become incredibly close. As is the way these days, this friendship was developed online. We would email each other, sporadically. He’d send me a bit of news on his latest ventures, or a story remembered that he knew I’d appreciate. Stories about Julie Newmar, Judy Garland and the like. I loved hearing them and I always loved hearing from Shaun. He had projects that tragically weren’t completed when he died. He had written a follow up to his book Barbra: The Woman, The Myth, The Music (for which I wrote a chapter). Most excitingly, he had written a script based on his most famous and well-loved book, The Divine Feud, taking key moments from his biography. He was shopping it around and his dream cast, he told me, would be Cate Blanchett and Julianne Moore. He wanted a woman and/or gay director/producer. Because he would give me sketchy details about himself and his life, I wasn’t sure to what extent this script was seen by the right people at the time of Shaun’s death. It is bitter-sweet then to know that Ryan Murphy is basically making Shaun’s film as his television series ‘Feud’. I’ve no doubt that Murphy will do an amazing job. It’s been acknowledged that Shaun’s book is the source material. And there’s no reason why Murphy and his team couldn’t have come to the idea themselves. They probably didn’t know that Shaun had wanted to do it. If they did I would hope that they would ask for access to his script and maybe use it if they could, in some way. I’ve no idea who handles Shaun’s estate now. Even though it breaks my heart that Shaun didn’t get to do his film and didn’t get to see his work turned into a project by one of the most exciting and important creatives of our time, I would hope that he would approve of the idea that someone else was doing it. And that he’d at last have got the more mainstream recognition he so deserved for his incredible work. I miss Shaun so much I can’t even say. He’s one of those facebook friends who comes up on invite lists from time to time and it rips at my heart to see his presence there as if I could just drop him a line. And then I remember that he didn’t really do facebook because he mainly got inundated with messages from young men chatting him up, apparently. I would, instead, have dropped him an email and maybe he’d reply, sometimes he wouldn’t. He was so private and so piecemeal with what he shared, but I did know he’d been ill in those last couple of years. He’d disappear from communication for a few months and return to say he was suffering from a case of getting old, no details. Just more wonderful stories. And he said the loveliest things to me. I miss him, I love him. It was an absolute privilege to have known him. Just heard about Shaun dying. He was a friend of mine through email. I knew him through the ‘Joni James’ fan club. I am in Liverpool, where ‘Gloria Graham’ lived for a few years. I wondered if Shaun ever met her. I am greatly saddened today . . . . .
My heart is broken and I miss him all the time. I wonder what he would have made of Feud. It’s disgusting that they didn’t even give the book a credit when not only was it obvious the series was based on it, but I know that Shaun had talked to Ryan Murphy about his own adapted script. He’d be happy that we are remembering him.